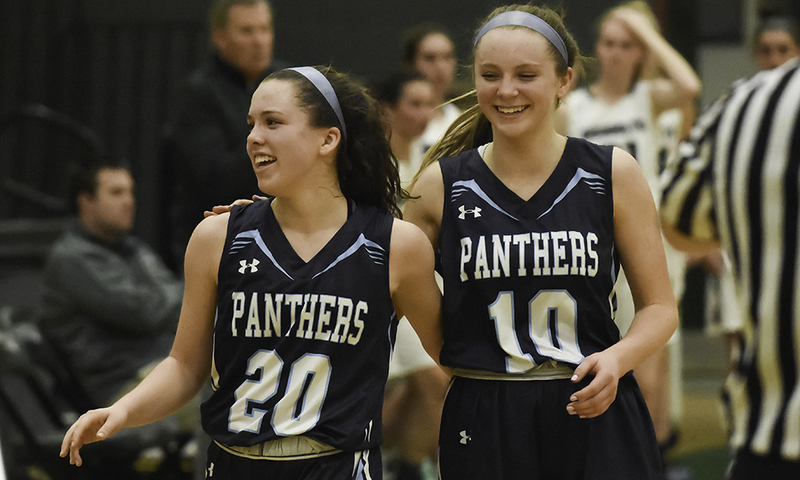 "The cliche is that defense wins championships and, if the cliche is true, then it is no wonder that Franklin had the chance to clinch a Kelley-Rex division title on Tuesday night. The Panthers came into the game against Mansfield in the Albertini Gym allowing a little more than 35 points per game, which was a league best. With a potential title on the line against the three-time defending champions, the Panthers turned to their defense once again, and added some clutch shooting to go with it. Franklin held Mansfield to just 14 points in the first half and took control with an 11-0 run just before the break and sealed the win with a 11-4 run down the stretch when the Hornets had gotten back within single digits. With the 47-32 victory, Franklin secured at least a share of its first league title since 2013. "When Franklin junior Jack Rudolph drained an open three with just under three and a half minutes left in the game to put his team up by eight, it looked like the Panthers were on their way to evening the season series with rival Mansfield. But the Panthers didn’t slam the door shut, and Mansfield took full advantage down the stretch. The Hornets used a 12-4 run over the final three minutes to force overtime, and Hornet senior Tommy Dooling hit a free throw with 5.1 seconds left in the extra period to give Mansfield a 73-72 win and a regular season sweep over Franklin. It’s Mansfield’s first season sweep of their rivals since 2014 when the Hornets won inside the field house and at the TD Garden."